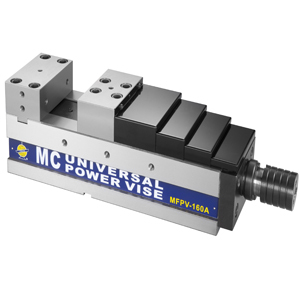 Ø The vise is made by precision and grinding processes, it's suitable for vertical / horizontal machine centers. Ø Fixed block and sliding block are steel and heat treatment HRC 50° or more, hardness and wear resistance is high, user may add or replace the processing needs of different specifications of the jaw plate. Ø The vise have four clamping ways for client to choice.